Three adjectives that describe you: Classy, flirty, and adventurous. Favorite activities: Watching basketball and hockey, cuddling, coffee dates, traveling, and shopping! Being away from my family and missing their love and support. I will miss my daily talks with my mom. Frank Eudy [from Season 14] because he was very trustworthy and loyal to his alliances and ally. He had to fight to stay in the house continuously and didn't crack under pressure. Yes, there are always twists that change your strategy, so a good social game is definitely needed. I plan on finding a great alliance, staying loyal, and being very observant. It's easy to get emotionally invested in people while playing this game, but that’s something I need to control better this time around. I'm very emotional and get attached quickly, so I need to keep my guard up a little longer, be sneaky, and play the game hard. First would be a journal because I like to write out my thoughts and feelings as a way of stress-relief. Also, it helps me stay focused. Next, I'd want my pups because they are better cuddlers than any human I know. Finally, my ring because it's from my mom and it's meaningful. Last edited by KennyERJ; 09-22-2016, 09:46 PM. 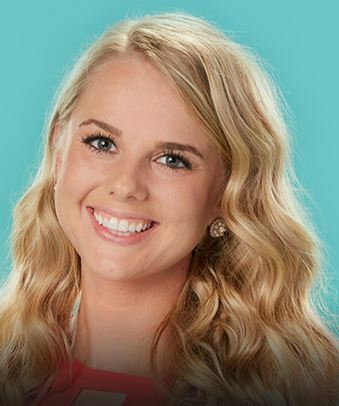 Reacquaint yourself with former BB16 Houseguest Nicole Franzel before she re-enters the house this season for another shot at the grand prize. Watch Big Brother Sundays and Wednesdays at 8/7c, and Thursdays at 9/8c Only CBS! this season was like season 15, even down to the winners, I put Nicole in the same class as Andy. can't stand them.